He is the 95th recipient of the Charles Eisenman Award, which is presented each year to a person or nonprofit who has demonstrated outstanding contributions to the community. 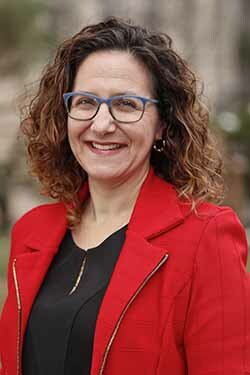 In addition to the presentation, the annual meeting will feature comments from Tamara Cofman Wittes, senior fellow of foreign policy at the Center for Middle East Policy at the Brookings Institution in Washington, D.C. The program will also include an address from outgoing board chair Gary L. Gross and an election of Federation trustees. Pogue served as managing partner at Jones Day, where he spurred growth from 335 to 1,225 lawyers and five domestic offices to 20 worldwide offices. He continues to be active as an adviser on client development, special projects and civic engagement. He has been involved in more than 50 nonprofit organizations like the Cleveland Foundation, University Hospitals Health System, City Club of Cleveland, Case Western Reserve University and American Red Cross. 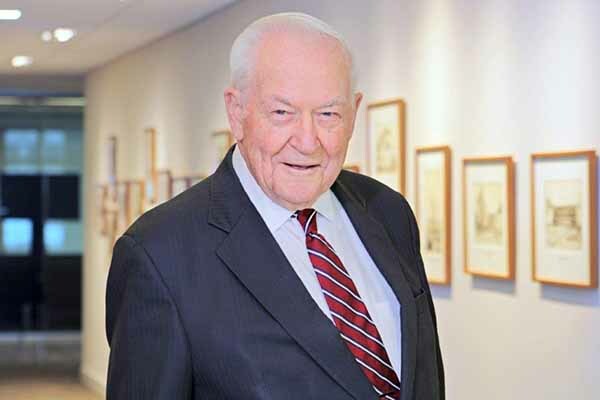 Pogue, a resident of Shaker Heights, often found himself partnering with members of the Jewish community like former Federation President Stephen H. Hoffman when he was supporting causes that benefited the general Cleveland community. “We were both trying to support various causes, he would identify very possible contributors to these causes in the Jewish community,” Pogue said. After serving the community for more than 50 years, Pogue said his top achievements were chairing the United Way campaign in 1989 when it raised more than $50 million and his five years as chairman of the Cleveland Foundation. “I just feel if you’re going to live in a community, you ought to support it,” he said. His drive to help the community started in 1961. Up until that point, he kept his nose to the grindstone and focused on work. After staying out late one night and having a guilty conscience, he asked one of the partners at Jones Day how he could give something back and was directed to become a youth advisory to a group of teenage boys at Goodrich Social Settlement, which has since been renamed the Goodrich-Gannett Neighborhood Center. Pogue would later go on to be board chair of the organization. When he heard he would be receiving this year’s Eisenman award, Pogue said he was humbled to be put in a group of previous award winners. WHAT: Charles Eisenman Award presentation; comments from Tamara Cofman Wittes, senior fellow of foreign policy at the Center for Middle East Policy at the Brookings Institution; address from outgoing board chair Gary L. Gross; and an election of Federation trustees.